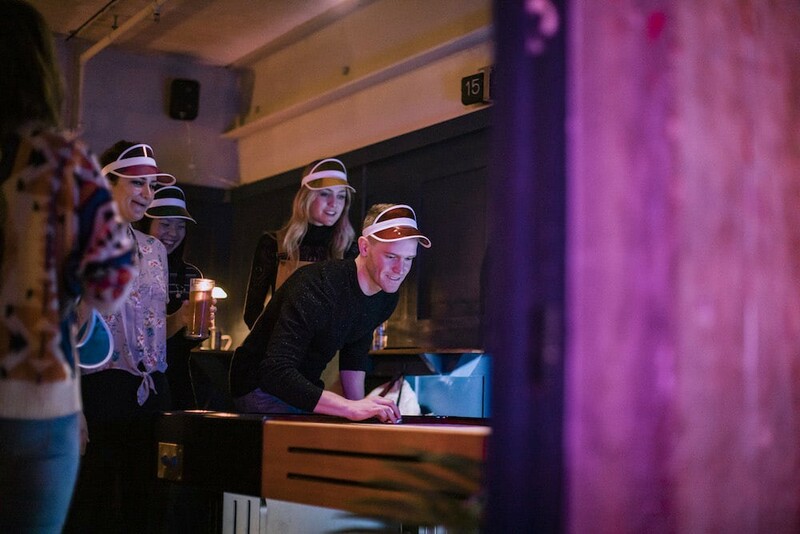 London Shuffle Club is all kinds of fun — particularly now they’ve launched a new table shuffleboard bar in the basement. Funnily enough, we’re not talking about a tragic club full of 18 year old boys wearing snapbacks and sliding their feet about to Afrojack. 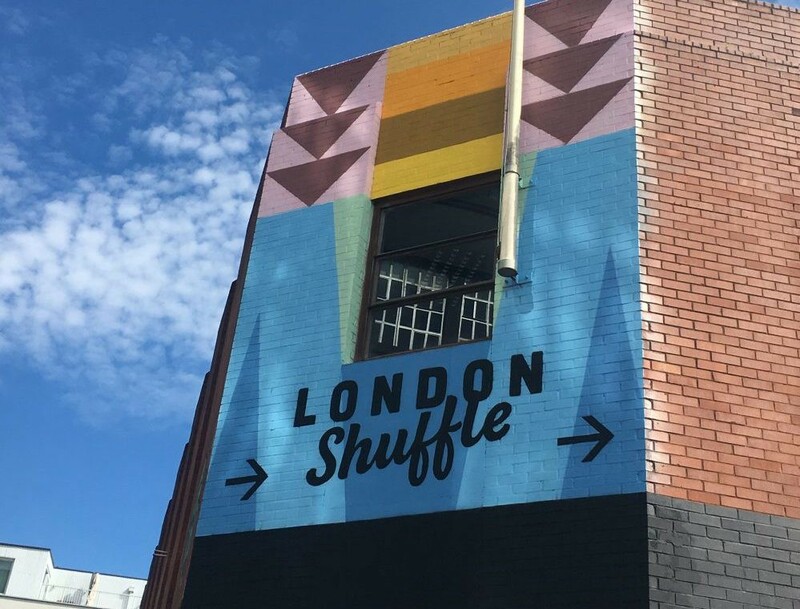 In this context, shuffling is a retro-game-turned-hip-new-nightlife-trend, and it’s taken London by storm. 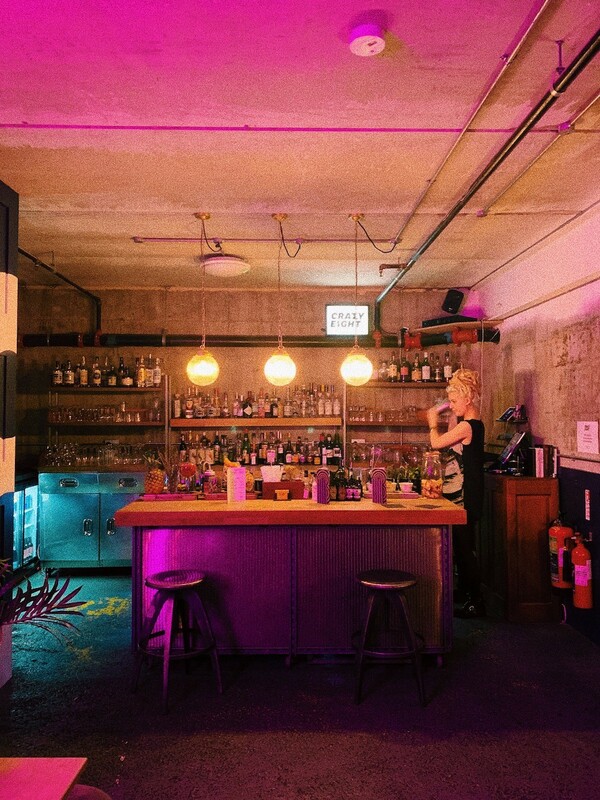 Think bowling crossed with curling and you still won’t have a clue — but just know that London Shuffle Club is trendy as hell and there’s also cocktails, pizza and a vibey basement bar. Though mostly by geriatrics, Shuffleboard has actually been played for over 500 years. (Henry VIII supposedly loved it). But, in true London fashion, it’s been given a fresh new makeover with neon lights and millennial vibes. 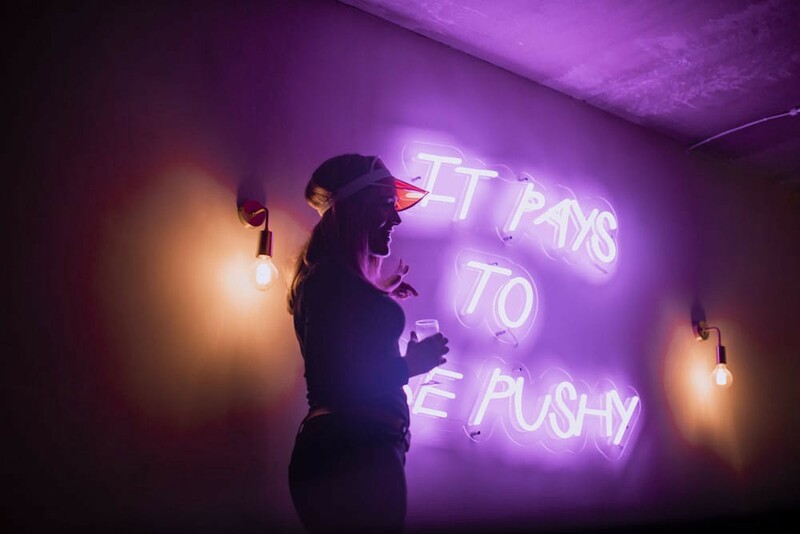 London Shuffle Club made it infinitely cooler when they opened their first pop-up in 2016 but, fast forward to 2019, they’ve now been in their permanent home for almost a year. “But what are the rules?”, we hear you ask. That’s a very good question. After a lot of Googling, and even a few attempts, we’re still not entirely sure. You basically push discs, known as biscuits, down a lane with a long forked called a tang. Seems simple, right? Pfft, you won’t be saying that after your first try, let alone after a few cocktails. This brings me on to the venue’s new basement bar, Crazy Eight. The subterranean drinking den boasts some seriously epic cocktails; including the Knock Off Negroni, which I (very boldly) claim is the best cocktail I’ve ever had. I mean, roasted pineapple infused gin, Suze, Lillet Blanc, and jasmine tea… what’s not to like? 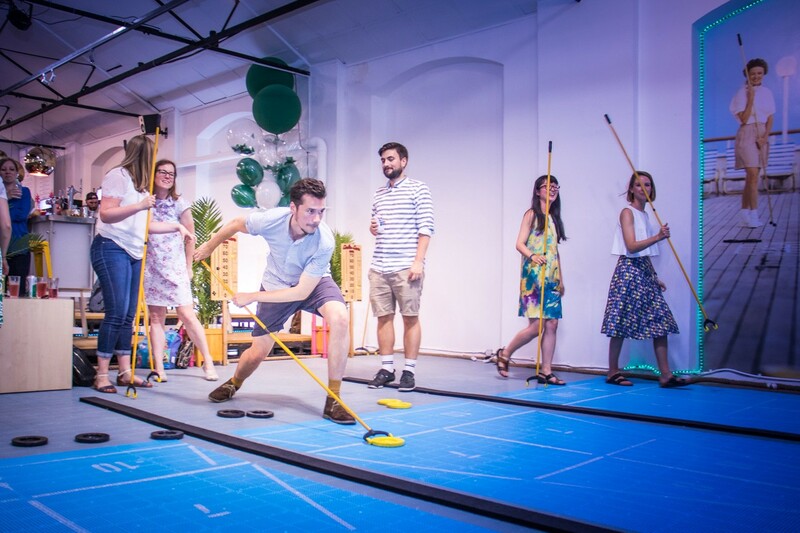 Besides drinking my weight in pineapple negronis, I also had a go at table shuffleboard — namely the ‘snapback’ shuffleboard, where the puck is rebounded off a back bar to land in the scoring zone. I was actually pretty good, much to everyone’s surprise. But then I went overboard on the cocktails and was very quickly relegated to Least Valuable Team Member (and then I went on to eat two entire pizzas to myself). 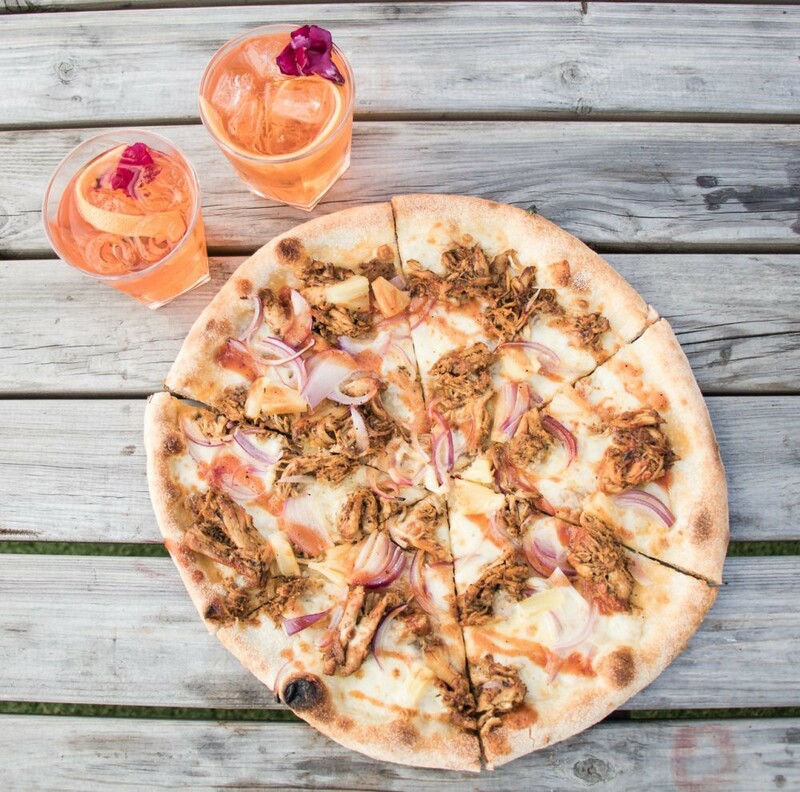 Crazy Eight is available for private hire as well as walk-ins. Tables start at £10 per hour are recommended for groups of four or more. Go on, shuffle along, now. Location: 4 Ebor Street, Shoreditch, E1 6AW. Nearest station: Shoreditch High Street. Find it on Google maps. Opening hours: Tuesday — Saturday, 12pm –11pm. Price: Regular lanes are £20 per hour (off peak) and £40 (peak). 2–8 people can play on a lane at a time, with 6 being the ideal number (which would make it £6.70 each at peak times). Book your slot here.